52 Mechanic Street Seneca Falls, NY. | MLS# R1134460 | Coldwell Banker Finger Lakes | 315-789-6768 | Geneva NY Homes for Sale, FINGER LAKES PROPERTIES, Seneca Lake, Cayuga Lake, All of the Finger Lakes. 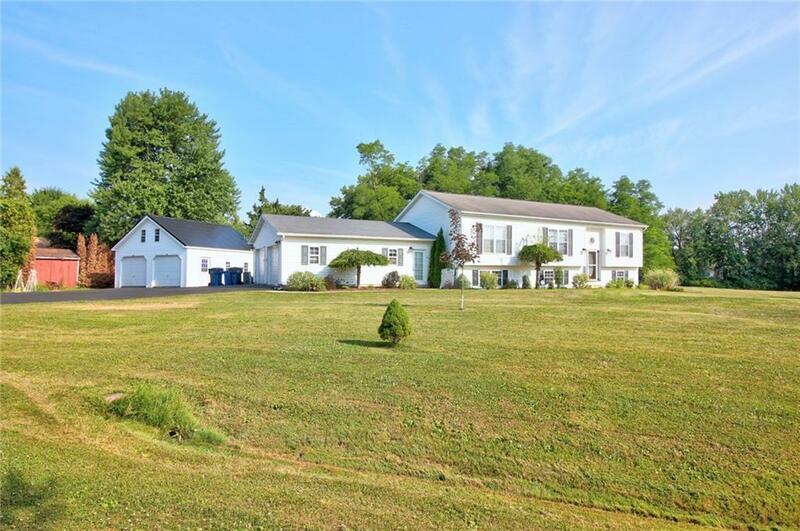 Truly one of a kind spacious home on 7.7 acres with privacy but in a neighborhood. Enjoy every out door activity you have dreamed of in your own Ponderosa with the convenience of close amenities. Updated custom kitchen with recent high end appliances. recent easy care flooring. Can have 6 bedrooms or use for your own purposes. Nice deck for entertaining overlooks the above ground pool. The second 2 car garage has potential for all your needs.